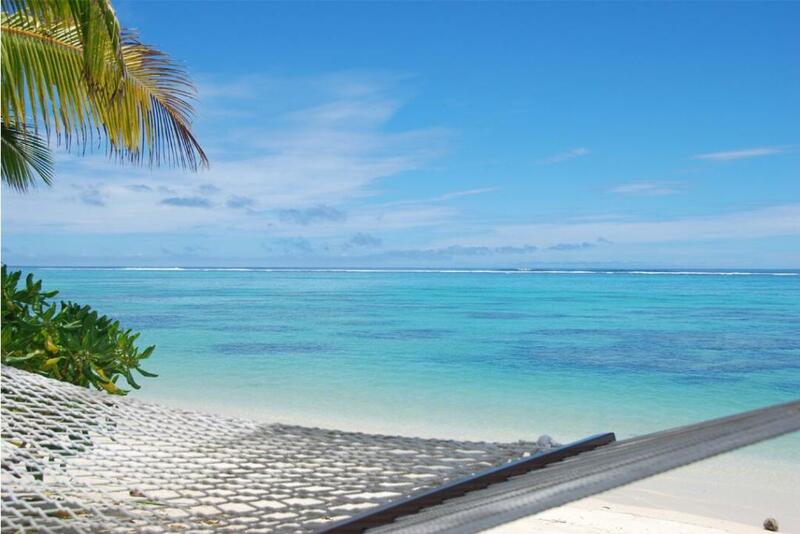 Royale Takitumu Villas is boutique, private beachfront Cook Islands accommodation perfect for couples and romantics. 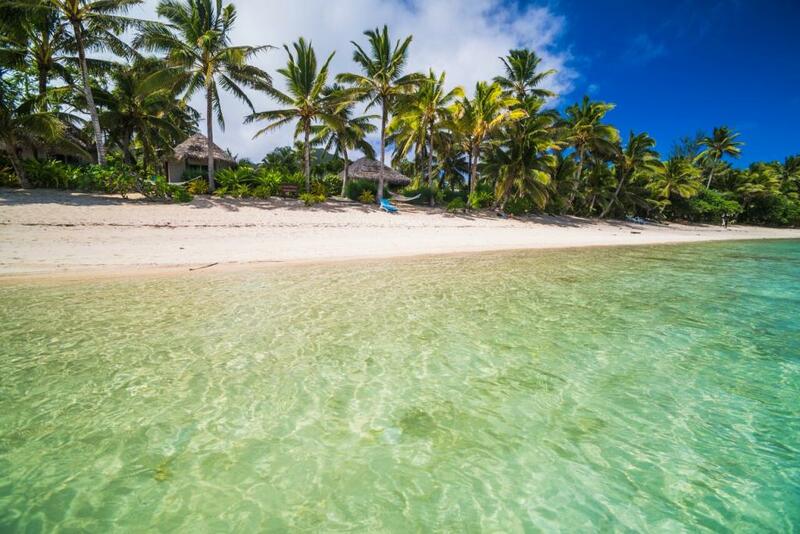 Its individual free-standing villas are only a few steps from a quiet stretch of white sand beach near the village of Titikaveka on the south coast of Rarotonga. The property is located only a 25 minute drive from the airport and is set amongst 1.3 acres of lush tropical gardens. With an absolute beachfront location guests can stroll from their villa onto a secluded beach and swim, snorkel or kayak in the pristine lagoon waters in all tides. Being a designated marine reserve, the marine life is in abundance. There are ten Royale Takitumu Villas, each offering a separate bedroom, fully equipped kitchen and private veranda. 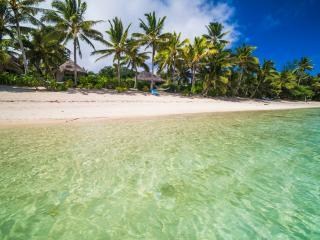 The villas are architecturally designed and offer a cool, island atmosphere. Guests are well catered for with a spacious, comfortable living area equipped with TV and surround sound. Royale Takitumu Villas is an ideal destination for your next romantic tropical getaway. From romantic dinners on your private veranda to lazy hammocks on the beach, Royale Takitumu Villas create a luxurious, dreamy holiday. Royale Takitumu Villas all feature a cool, spacious and traditional design. All villas are fully self-contained with kitchen facilities and ensuite bathroom which includes a spa bath. Guests can relax on the private veranda and are within only a few steps from the beach. Lagoon View Villa: These thatched roof villas are just a few steps from the beach and feature beautiful views of the swaying palm trees and lagoon. Bedding is 1 King Bed. Maximum room capacity is 3 Adults. Beachfront Villa: Located right on the edge of the magnificent white sand beach and features views of Titikaveka Lagoon and the reef beyond. Bedding is 1 King Bed. Maximum room capacity is 3 Adults. Premium Beachfront Villa: Situated directly on the beach with panoramic views of Titikaveka Lagoon. These Premium Beachfront Villas are perfect for couples seeking beachfront seclusion and luxury. Bedding is 1 King Bed. Maximum room capacity is 3 Adults. A complimentary welcome tropical breakfast basket is offered to guests upon their arrival. This is also available during their stay, payable direct to the property. Guests can choose to cater for themselves in their fully equipped kitchens as there is a grocery store across the road, or they can take a short drive or catch a local bus to nearby local restaurants. A private Chef is also available to personally prepare meals for guests on the veranda of their Villa. Children: Adults only. Children under 18 years cannot be accommodated.